When you enroll new children in your Child Care Facility, parents need to be informed of your policies and procedures. The best way to inform parents about your program policies is by issuing a parent handbook. The parent handbook that I have created is designed to provide your parents with an overview of your facilities policies and procedures. It is also a great way to orientate families into your program and market your childcare program to families that are considering enrolling their children in your program. The handbook also includes a sample transportation policy, emergency preparedness letter and a payment agreement. My husband and I just got back in town from a trip to beautiful Destin, Florida. We stayed at the Hilton Resort and it was gorgeous. In fact, I picked the Hilton because for their Brand and I can always expect excellence from the Hilton Brand. In fact, as I was on vacation; I was inspired to reflect on my very own Child Care Business Brand and make necessary changes when I returned to the Business. My experience was excellent and a time to remember. Furthermore, I believe that every Business Brand should provide an experience that customers will never forget! Let’s take a look at how your brand affects your Child Care Business…. Your Brand is Everything that you do in Business and the experience that you give to your customers! If your business practices or the experience that you offer to parents is in question at any time, during any transaction, with any person interacting with your business, your brand is both in question and in jeopardy! 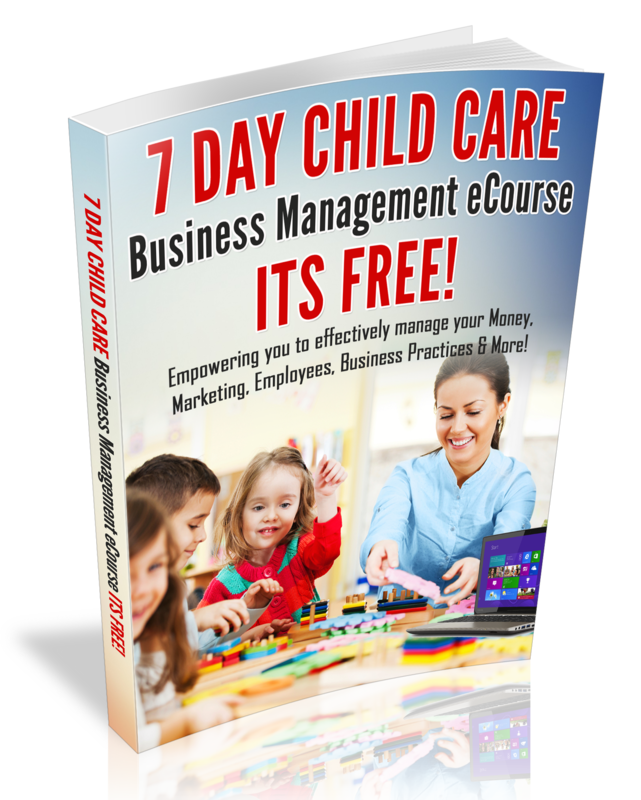 Your Brand has everything to do with marketing of your Child Care Business. In fact, how you carry yourself and the practices in your childcare business is a great marketing tool. I have discovered this: It takes years to build a trusted Business brand and only a moment to destroy it! Always be polite to your parents and their family members. Strive to improve any practices that are not satisfactory. Get your parents feedback on a regular basis, because if parents are not happy, this could affect your brand. Ask your parents the following question: When you think of my daycare; what words come to mind? This is a great indicator of what type of brand you have established for your business. If you have encountered a negative situation with a parent, be sure that your last conversation with the parent is on a positive note. Require that you employees always look nice from their uniform to their hair. That was only a few branding tips, however, I want you to know that you are your Business Brand, so be sure that you reflect your brand with your appearance, how you answer the phone, be mindful of what you post on social media, etc. Be sure that your behavior and business practices reflect your Business Brand! For more Marketing or Branding ideas, check out my Marketing 101 toolkit.